Prion diseases are slow degenerative brain diseases that occur in people and various other mammals. No vaccines or treatments are available, and these diseases are almost always fatal. Scientists have found little evidence of a protective immune response to prion infections. 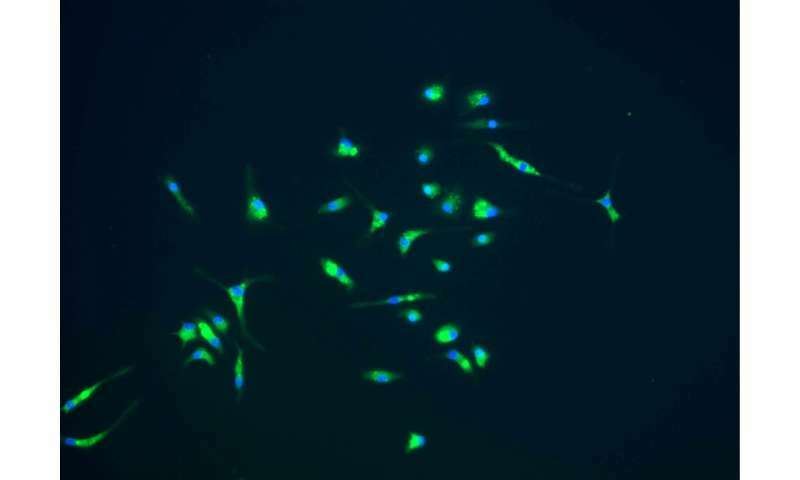 Further, microglia—brain cells usually involved in the first level of host defense against infections of the brain—have been thought to worsen these diseases by secreting toxic molecules that can damage nerve cells. The findings suggest that drugs that increase the helpful activity of microglia may have a role in slowing the progression of prion diseases. Researchers are now studying the details of how microglia may be able to destroy prions in the brain. The scientists note that microglia could have a similar beneficial effect on other neurodegenerative diseases associated with protein aggregation, such as Alzheimer's disease and Parkinson's disease.